Are you being for real? Raw food? Who’s going to eat that? Deer? Every now and then, there comes a fad diet that promises to optimise your health, boost your metabolism, increase weight loss, and pretty much make you into an indestructible human machine. While some have a semblance of nutritional value, others are downright impractical and, or dangerous. Anyone trying to eat right shouldn’t even consider giving them a try. So if you’re looking to get your diet into the realms of healthy and being satisfied, don’t give the following diets the pleasure of your taste buds. Eating food according to your blood type might make some sense, right? That’s until you realise that scientists don’t even know why humans have different blood types. While it’s true that you’re more prone to certain diseases and conditions as a result of your blood, there’s no compelling evidence that staying away from certain foods because of your type can help you shed weight. So if you’re type B, it’s okay to eat chicken, corn and wheat. Type As don’t even need to go the vegetarian route – bacon is still your friend, and vegetarianism should be a choice. This is the Cinderella of diets. Not because it’s magical, but because it’s a fable. Basically, you’re supposed to abstain from eating according to the lunar cycle, and have to follow an eating plan according to the moon phases. Yep, if there’s a full moon, you shouldn’t touch food but – instead – drink water and juice, which supposedly helps you lose six pounds of water weight a day. Of course fasting is good. It can even teach you a thing or two about self-control, and you could lose a couple of pounds. However, don’t let the tin-foil hat wearers convince you that you lose weight because there’s a full moon. In fact, even if you do shed those pounds, they’re waiting around the corner and are going to come back. So don’t starve yourself because of a blood moon – watch Vampire Diaries instead. First off, your body is capable of keeping pH levels where they need to be. This is where the alkaline diet makes most dieticians question its credibility. It requires you to cut out dairy, candy, caffeine and artificial foods, in the name of keeping your pH levels at optimum. In their place, you should consume veggies, nuts and seeds, which do have plenty of benefits in the health department. However, it doesn’t keep its promise. Researchers and dieticians have pointed out that there is no compelling studies that prove it can actually reduce pH levels. In fact, most say cutting these foods out of your diet won’t do that at all. Again, it’s a good diet in essence, but not worth your time and money because it misses the mark on its objective. There’s no arguing that cooked food does lose some of its nutritional value. However, the raw diet is too extreme even for vegans. And quite honestly, cooked food is not void of the healthy nutrients you need. It still has a considerable amount of vitamins, fibre and minerals for you to lose weight and feel great. Another reason to eat cooked food is for the sake of your digestive system. Even uncooked veggies can contain bacteria that can wreak havoc in your tummy or just make you ill, so heating up your food kills those bad boys. If you’re still not convinced that cooked food is the way forward, rather don’t overcook it or add too much oil. Do you know how this diet can help you lose weight? By laughing at it. Man shall not live on cookies alone, but on a balanced diet that doesn’t require you to starve yourself. 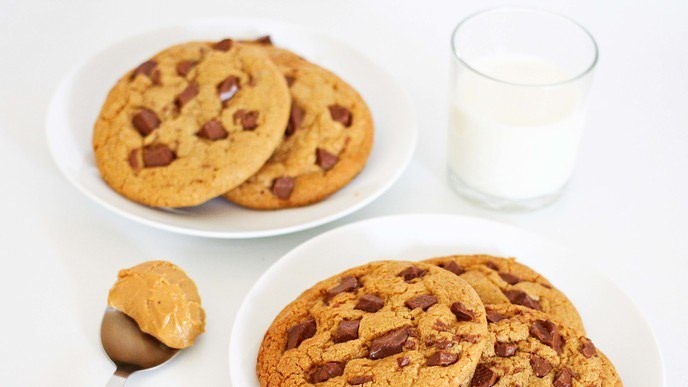 The cookie diet might sound funny, but it’s very problematic because you starve yourself. While dieticians agree that you can shed some pounds from eating up to 600 calories of these high-fibre and high protein cookies throughout the day, and a normal dinner in the evening, you’re at risk of bingeing when you eat dinner. It’s like the Blood Moon diet Werewolf diet in its pointlessness but, more seriously, the bingeing aspect can lead to more weight gain than loss. Now people are playing with our emotions. Sleep to lose weight? The sleeping beauty diet is probably the worst of them all. Apparently it was how Elvis Presley kept his fine physique. So it must work, right? Wrong. No, lethally wrong. The diet requires you take sedatives so that you sleep for days on end, which is great because you don’t have to go to work, but bad because you’re likely to suffer from muscle deterioration and even death – a death no kiss can wake you from. Jokes aside and at the end of the day, there are so many diets that actually work and can fit into your lifestyle and budget. However, you should watch out for the ones that promise quick fixes, or make you starve yourself to the point where it’s unhealthy or leads to binge eating. While losing weight is good for your health, doing it using diets that are untested isn’t. Speak to professional dieticians on the best plan for you to follow, or read up on some of our own diet trends here.